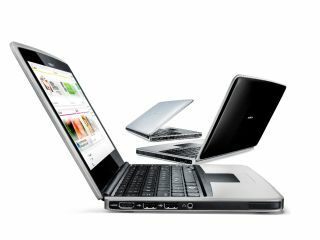 Nokia has revealed more details about its forthcoming Nokia Booklet 3G netbook, with the phone giant's foray into the world of computing bringing a 1.6GHz Intel Atom Z530 processor, 1GB of RAM and integrated Nokia 'Ovi' services. The Nokia Booklet 3G caused quite a stir when it was announced on 24 August, and the Finnish company has now revealed exactly what to expect from its netbook and a price of €570 - that's around £500. Ouch. Nokia says that the Booklet will have a 12-hour battery life, WLAN and WWAN WiFi, 3G/HSPA with hot swappable simcard and integrated Ovi Suite. The computer will have an Atom z530 processor, 1GB of Ram, 1,280 x 720 10.1-inch display, an accelerometer, aGPS, a webcam and HDMI out. The Nokia Booklet will weigh in at 1.2Kg and have dimensions of 264 x 185 x 19.9 mm.